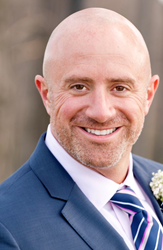 To support its accelerated growth plans, Standard Process today announced the appointment of Brian Hall as director of sales and business development. In this newly created position, Hall will direct the sales efforts of the company to increase the interest and engagement of practitioners and their patients in Standard Process whole food nutrient solutions. Reporting to Deb Morgan, Standard Process vice president of sales and marketing, Hall comes to Standard Process with over 20 years of experience in health and nutrition. Most recently he was senior vice president of sales for North America at New Chapter Vitamins, where he was the senior leader in sales and business development. Throughout his career he has created and led sales teams while collaboratively working on numerous product launches. On numerous occasions he identified and implemented successful new business expansion opportunities. Brian was born and raised in the Midwest as the youngest in a family of 10 children. He attended Mercyhurst College and also served in the U.S. Army Reserve. He lives with his wife and their three children Pewaukee, Wisconsin. The products are available exclusively through health care professionals, including chiropractors, acupuncturists, nurses, naturopaths, medical doctors and veterinarians. Standard Process is guided by the whole food philosophy of its founder, Dr. Royal Lee. Dr. Lee’s goal was to provide nutrients as they are found in nature, where he believed their natural potency and efficacy would be realized. Today Standard Process proudly carries on Dr. Lee’s legacy and regularly grows more than 80 percent of the raw plant ingredients found in its products on its certified organic farm in Palmyra, Wisconsin. Using state-of-the-art manufacturing processes to retain vital nutrients within each ingredient, Standard Process manufactures its supplements in its certified organic manufacturing facility. Standard Process employs high quality control standards and follows the Food and Drug Administration’s good manufacturing practices. In the 1940s, Dr. Royal Lee marketed the first household flour mill under the Lee Engineering brand. The Lee Household Flour Mill TM has been redesigned and is now offered along with other nutrition-focused products under the Standard Process subsidiary, Royal Lee Organics™. Standard Process employs more than 380 people and has been in business since 1929. The company is recognized as a distinguished leader and innovator in workplace wellness and an exemplary environmental steward. It is a recipient of the Platinum Well Workplace Award from the Wellness Councils of America and a Tier 1 participant in the Wisconsin Department of Natural Resources Green Tier program, which recognizes companies with strong environmental compliance records. For additional information about Standard Process, visit standardprocess.com.